You are trapped. For hours on end. In an area the size of a refrigerator box. WITH A TODDLER! What do you do?! I know what you must be thinking, I would have to be crazy to want to put myself in a situation like this. But, I promise, it is completely doable and actually can even be fun taking your child traveling anywhere in the world! It’s all about being prepared and flexible at the same time. Last week I gave you Tips For Traveling With a Toddler: Jet Lag. I would suggest that you read last weeks post if you haven’t already before your read this one, because the following tips are more effective when the “Before You Arrive At Your Destination” tips in that post are used. Now onto this weeks post! Today I am giving my tips on what you should pack to carry-on the plane to help you make it through a flight with your toddler. I hope they will help you arrive at your destination less stressed and ready for yours and your childs’ travels! As we have traveled for the past year and a half, our daughter has changed so much, and that includes what keeps her entertained. On a plane, especially if you are on a long flight it is important that you pack small toys and things to do that will make your child (and therefore you) happy. Each child is different, and you know your child best, so pack the toys that you KNOW will keep them entertained. You may want to try toys you THINK they will like before getting on that plane, because there is nothing worse than having nothing for your toddler to do while being stuck in a small place with cranky travelers all around them. As I said in my last post, we tried to always take overnight or nap time flights, so we did not need that many toys with us. But I wanted to share what has really worked for us and made us all much more relaxed while flying. Over the time we have traveled, Z has had one doll that she had to take along when we traveled. Right now her doll of choice is baby Belle from Disney’s “Beauty and the Beast”, the doll may change but there is always a doll. Silly Putty is my go to time waster for Z, she absolutely loves playing with it… FOR HOURS! We also always pack her iPad mini, and a drawing tablet (chalk board, white board etc), pens/pencils/crayons. You see we do not have to pack much, but we pack what we know will keep her playing quietly for a long time. For more help with this part of packing your child’s carry-on make sure to check out these: Journeys of the Fabulist has an awesome article about how to keep your child entertained and what to pack that helped me a lot, and this article that I found helpful by Free But Fun! that gives more ideas of what can keep a child entertained on a long trip. You don’t have to bring ALL their toys, just pack one of two special toys. 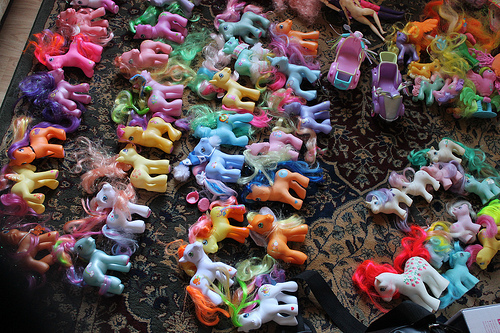 I mean really how many My Little Ponies can one child play with at a time. Right?! I know it seems silly to even be writing this. I mean we parents, we always have an extra set of clothing somewhere near us for our toddlers. Hiding in our purses, or car, or back pack. We know to bring an extra outfit to the mall, let alone on a long flight. We are freaking prepared! !But still maybe there are some things you haven’t thought of, so here is what I usually pack: A warm sweater because airplanes are chilly… ALWAYS. Socks because it makes your child feet feel cozy and they can walk the aisles without having to put on their shoes over and over. Believe me the less you have to mess with your bags, the better. Pajamas for overnight flights are a must. The more comfortable your toddler is, the better they will sleep (hopefully?!). And last, but not least, a few pairs of underpants in case of accidents. We had someone on a flight recently complain about having to hear Z’s video playing on her iPad (even though it was so low, I could barely hear it sitting right next to her), but luckily we had the forethought to buy some child size headphones. The nice thing about child headphones is not only the smaller size, but the volume cannot be turned up past a certain point. Your child’s ear drums will be safe from too much noise. But, if you forget your toddlers’ headphones, here is a blog post about how to travel hack the airlines headphones for your children (again by Journeys of the Fabulist, Thanks Bronwyn!). Again, this tip is pretty self-explanatory. I always try to get snacks that are in small-sized packages (that way there is less food wasted and more fun for the kids trying to open them on their own). Also get snacks that are fun to eat. Things like fruit snacks that have shapes that you can talk about with your child are good. And avoid sugary snacks at all cost… unless you have a sick desire to cause your toddler to go crazy in their seat. 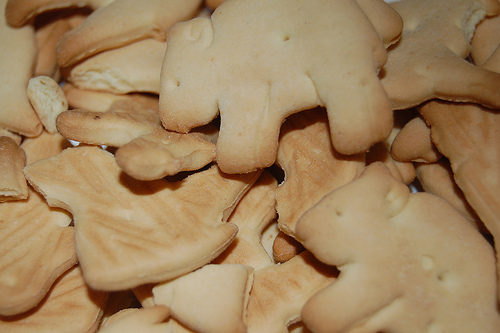 Animal Crackers are a great snack that can also entertain your toddler. One of the things that I worried about was how Z’s ears would pop once I weaned her. When she was young I would just nurse her on take-off and landing to help her ears adjust and calm her. But what would work if I couldn’t nurse her? There was no way I would let her chew gum (works for us grown-ups)… And then I realized, a sippy cup that has a straw helps her while landing and taking off. It helps to equalize her ears and not only that it gives her a constant supply of water that WONT SPILL! We use the Tommy Tipee Truly Spill Proof Straw Cup and love it! I hate the feeling of being dirty after a long flight. I always feel like I have horrible cotton mouth, and am covered in sweat and filth. I think our toddlers must feel some of the same that we do, so I like to pack a few supplies to freshen Z up after the flight. I love to bring Spiffies Tooth Wipes, which are literally wipes that you hold on your finger and brush your childs teeth, gums, and tongue with. I also bring her toothbrush, toothpaste, a hair brush, and baby wipes. Really, you and your child can make it through any flight as long as you have a little patience. It helps to remember that your child is a person and has their own needs, desires, and wants. Your child feeds off of your emotions as much as you do theirs. The best way to keep them happy, entertained, and calm is to show them lots of patience, calm cuddles, and a loving attitude (it can be hard sometimes on long travel days, but you can do it!). What you pack is not nearly as important as how you act. 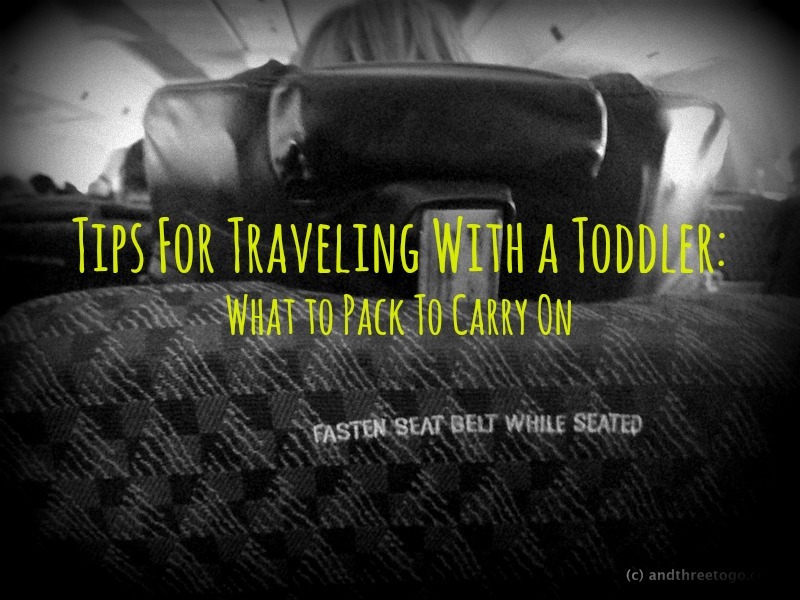 What do you pack for your toddler to carry on the plane when you travel? What other tips would you like to know about to help you travel the world with your toddler? Leave a comment and let me know!